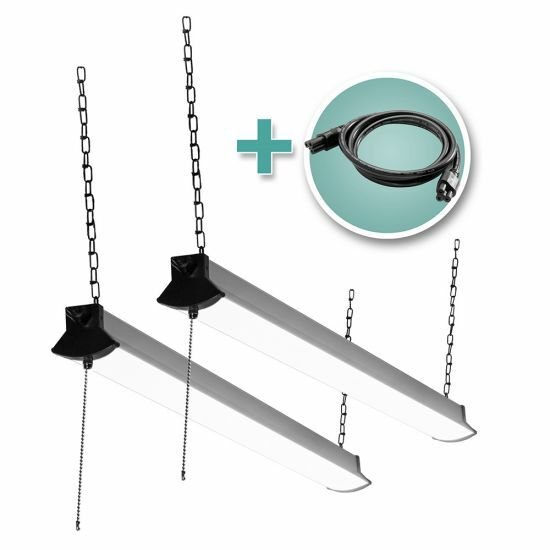 A 2-pack of linkable 4' LED lights, plus an extra-long link cord that lets you space them apart by up to 48''. 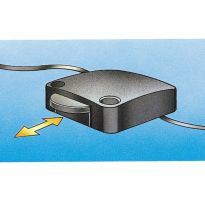 These 4' LED utility lights are linkable, allowing you to chain up to 4 identical lights together to light a large work area on a single outlet. 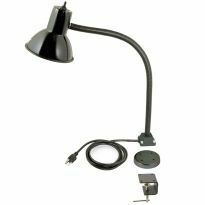 This package includes 2 lights, plus an additional 48'' link cord for additional space between the lights. Whether you are using them in the shop, garage, laundry room or utility room, they makes a great replacement for outdated fluorescent fixtures. 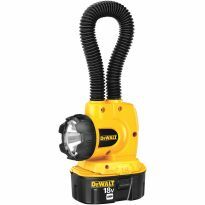 The LEDs are rated to last for 40,000 hours, and at 4000 lumens each, emit very bright light. They operate well in cold weather, with no delay, and you don't have to worry about breakage, mercury leakage, or tube disposal as you do with fluorescents. Note: Lights are individually switched. In order for all linked lights to be turned on or off at the same time, they must be plugged into a switched outlet. I purchased this kit to add to 2 other identical fixtures. With the 4ft link and 2 -14in links, I was able to control 4 fixtures from one switched outlet. The light output is terrific for my 13ft x 13ft workshop. I really like these LED lights. These go up in a hurry, and they work beautifully. My shop is not only safer, but the wood looks better in this natural light. Only downer is finding a place to ditch the old fluorescents. I never knew jut how bright 4000 lumens was. They go up fast and easy just like they go on. IN my garage ceiling I have a plug that is on a switch, so having the 48" link cord worked out great. Was happy to get rid of the florescent and very pleased with the difference in quality and quantity of light. I replaced my fluorescent lights with these lights. They are much brighter than the fluorescent lights and easy on the eyes. The two lights work very well. 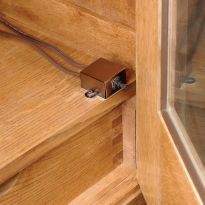 I now can see to perform my woodworking projects! Setup was easy and the cable enabled me to get the most light over a large area. Love the lights! Just wish the link chord was longer so I didnâ? ?t have to splice two together each time. Started out putting two together but ended up separating them, it is almost brighter than daylight. Ended up separating them by the length of the extra long foot cord and placed them around the shop, eliminated all shadows and made my aging eyes very happy. The Linkable 4000-lumen 4' LED Shop Lights are perfect for creating a well lit workspace. I bought these lights to add extra light in my work area because the fluorescent lights I have do not provide enough light. The Linkable 4000-lumen 4' LED Shop Lights have solved that problem, they are easy to install, compact, and provide more light than I expected. I am very satisfied with my purchase, the only downside is that the bulbs are not replaceable, otherwise I would have rated them five stars. Easy to install. 2 of them Brightened up a large dark shop. I was disappointed to learn that the lights can't be changed (disposable). Great price. Able to add to my current lights. Very bright in my workshop. Replacing an 8 ft. fluorescent fixture with a brighter more economical, quieter fixture. Led lights are the way to go. The linkable feature makes it even easier to install. The lights are linkable, so I don't need a number of outlets. Have 2 in garage. Adding these to the workshop. Love the 2 I have! Wanted more! My small garage/shop doesn't have much light and also has a low ceiling (it's under the bedrooms). I've used a single 100w equivalent daylight LED as a spot, so these should provide ample light. I also like that I can link these and use only one outlet. LED's also generally use less energy than other lights, so I hope my electric bill doesn't increase much due to these (if it increases because I'm using my tablesaw more, though, that means I'm building - that's a good thing). The bulbs in the two floresent lights in my garage whent so I thought is was the time to go LED. I needed to replace some fluorescents, this was a good deal compared to similar products at the big box stores. Can they be mounted on ceiling or do they have to be suspended on Chain? BEST ANSWER: they are designed to use the chains but it is pretty easy to simply use the hook without the length of chain. But an actual surface mount is not they way they are designed to be used. 4000 lumens each or combined? Does this package come with bulbs? Yes the lamps are included with the fixture. 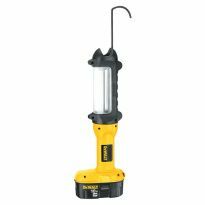 In the catalog it says this light comes with a 14" link cord. But I don't see it on our web page. Do these lights come in any other color? BEST ANSWER: Terry-I bought 3 of these individually. Each box contained one lamp, one power cord, one soft plug for closing the opposite end if not linking to another, AND one ~14" cord to connect to the "PWR" end of the fixture where the pull chain is. Looks to me like the item offered with the 4' linking cord gives you what you'd need if you want to separate the two fixtures by >14". No other colors that I know of. Yes it came with the link cord and it only comes in one color. Can the 4' Linkable LED Shop Lights operate from a dimmer? BEST ANSWER: I love the shop lights alot, but I don't know if a dimmer would work with them or not.